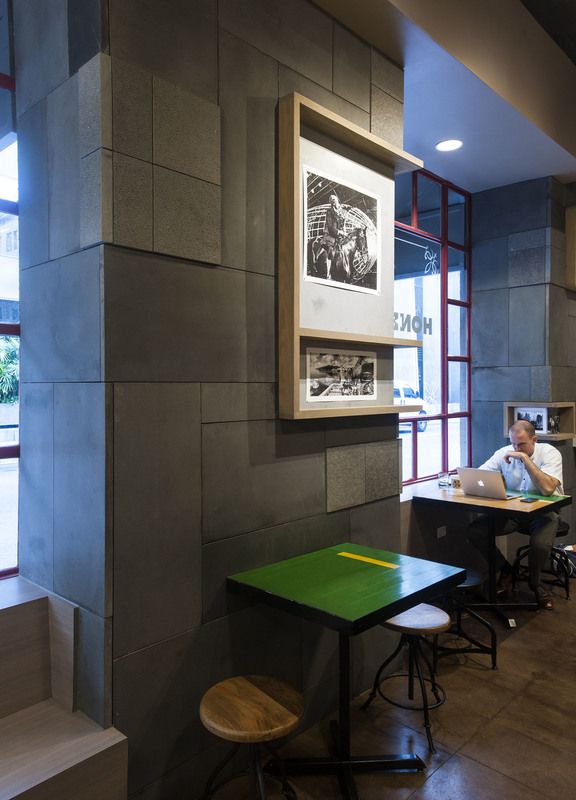 Brue Bar — Geoffrey Lewis Architect, Inc.
‘Brue Bar–HONBLUE’ is the result of a collaboration of artists and owners who came up with a creative solution to combine a print shop with a coffee bar. 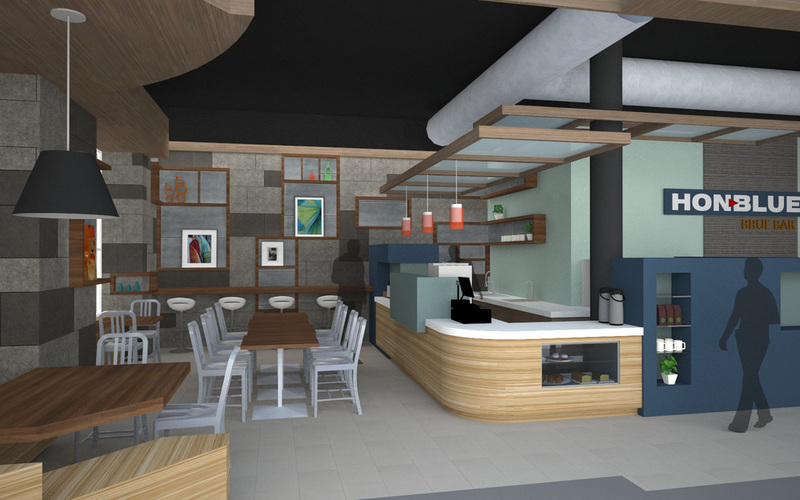 HONBLUE which is a local printing & reproduction company established in 1967, has for years believed in sharing a good ‘cup of joe’ with its patrons at its main Iwilei Shop and now wanted to expand this tradition to its new downtown store. With the relocation to the Historic Stangenwald Building**, the design, construction and now operations of ‘Brue Bar – HONBLUE’ are in full swing.